It's time to celebrate fall! The OFG etsy team is having their Fall Frolic Celebration now thru Sept. 28, 2013. Many team members have created all new handmade items for fall. 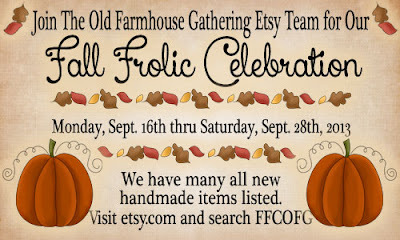 To view all the items click on the Fall Frolic graphic below or visit etsy.com and search for FFCOFG.